In the upcoming HISTORY series “Project Blue Book,” an enigmatic threat from the skies raises concern in the heart of the United States Air Force — and it’s up to one college professor to unravel the mystery. Set during the Cold War, the series details the true, top secret account of the U.S. Air Force’s series of studies on Unidentified Flying Object (UFO) sightings during the 1950-60s, which was called Project Blue Book. After realizing a possible alien invasion goes beyond their scope of understanding, the Air Force recruits Dr. J. Allen Hynek (Aidan Gillen) to investigate UFO cases around the country. He’s joined by his partner, Air Force Captain Michael Quinn (Michael Malarkey). HISTORY has taken on historical events in the past, which have been epitomized in shows such as “Vikings” and “The Curse of Oak Island.” “Project Blue Book” tackles a topic which is often neglected by historians and TV producers. 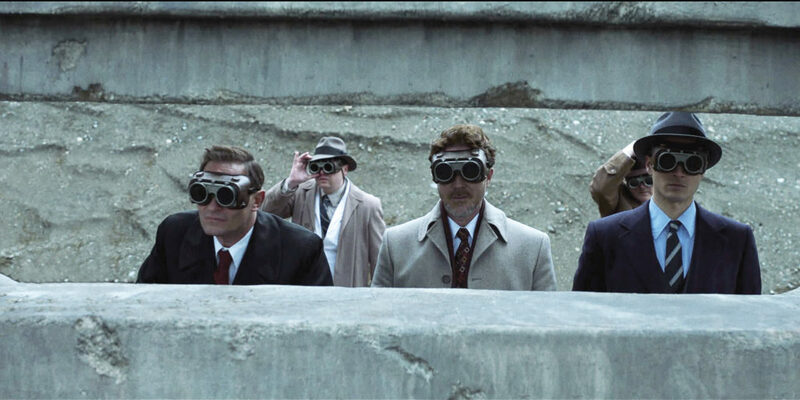 The show is based on the actual Project Blue Book case files, combining these accounts with outside historical events to depict one of the most clandestine eras in American history. Crammed together on a couch inside an interview suite at Chicago’s St. Jane Hotel (230 N. Michigan Ave.), Sean Jablonski, Paul Hynek, Michael Malarkey, Michael Harney and Laura Mennell appeared eager and unnaturally energized for an early morning press panel. As they enthusiastically shared their approval of the series’ promotional poster displayed next to them, it became clear they were just as excited about the upcoming series as audience members — answering each question with an equal amount of enthusiasm. Paul Hynek is in the unique position of watching his childhood and his father’s legacy play out on screen. In the show, Mennell portrays his mother, Mimi Hynek, who struggles to understand her husband’s new undercover job while coping with female expectations of the era. Hynek said he was pleased by O’Leary and Jablonski’s obvious enthusiasm for the subject when they asked him and his brother, Joel, to help make the show. Jablonski said O’Leary was the original mastermind behind the series. He said O’Leary got the idea for the show after watching Peter Jennings’ documentary from the 1980s about UFOs. Considering UFOs are a highly contested topic, it might seem like a daunting subject for a TV series. But Jablonski said the production team saw the probability of people’s uncertainty about UFOs as a welcome challenge. Set on the cusp of the Atomic Era, the series provides an interesting setting when the nation is under threat from different angles. With the risk of nuclear destruction on the horizon, the country is forced to consider the possibility of an alien invasion as well. Harney, who portrays Air Force Captain Hugh Valentine in the show, said he feels the nation was forced to hide the possibility of aliens in order to suppress fear in Americans during this tense time in history. For Malarkey, his role in “Project Blue Book” might seem like a step into uncharted territory, considering he spent several years on the London stage starring in plays, such as “The Great Gatsby” and “Million Dollar Quartet.” However, he said his role as Captain Michael Quinn reminds him more of his time onstage than past roles and allows him to indulge in his love of history. “Project Blue Book” will undoubtedly captivate viewers with its fascinating depiction of an unspoken academic legend and its authentic illustration of American life during the Cold War. Mennell said the show’s depiction of Dr. Hynek’s involvement in Project Blue Book should likely reflect audience’s own experiences while watching it. She said Hynek’s character will resonate with audiences, regardless of their personal beliefs. 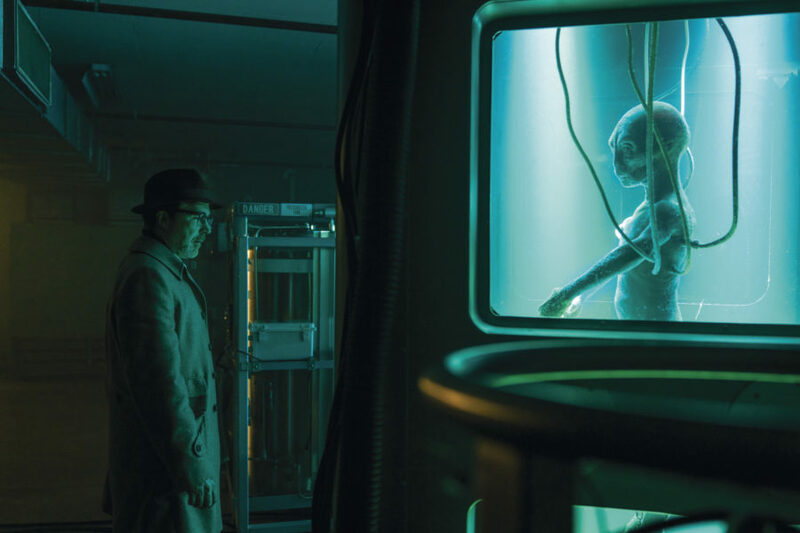 “Project Blue Book” premieres Jan. 8 at 9 p.m on HISTORY.